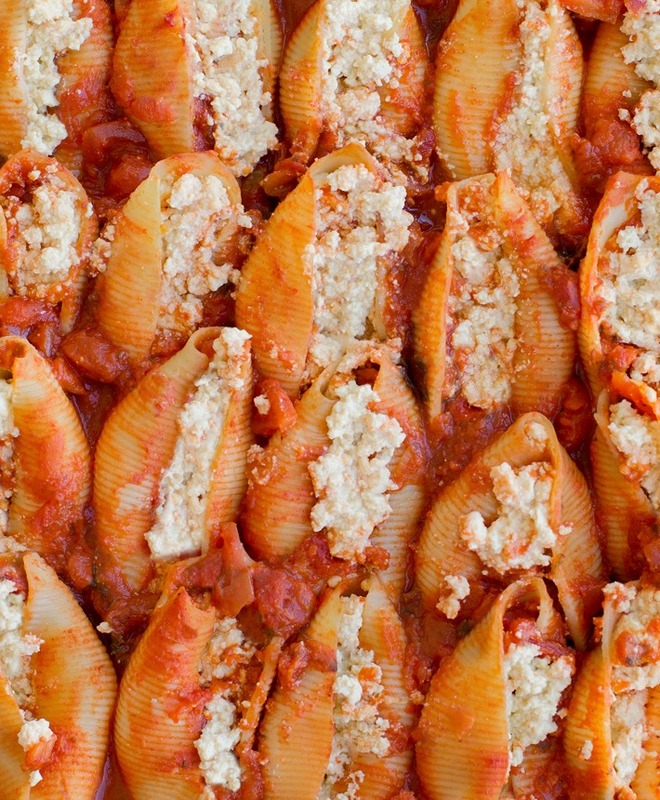 These 5-ingredient vegan stuffed shells are such an easy and fancy vegan dinner! The filling can be made with just three ingredients, and there are NO cashews in this one! They’re great for potlucks, holidays, or weekend family dinners, and when I made them once for guests visiting from out of town, apparently people didn’t even realize they were vegan! One of my friends asked me when I’d started eating dairy again! From start to finish, the entire recipe can come together in under 40 minutes. You simply boil the pasta, add the filling, and let the oven do the rest. Served with roast vegetables or a side salad, it’s a healthy and filling meal that won’t weigh you down. And while I wasn’t trying to make a vegan version that tastes exactly like traditional non-vegan stuffed shell recipes, it is delicious in its own right, not as a substitute for something else.